I thought that maybe if I had a minimum veggie order and the veggies were going to arrive no matter what, then maybe I’d force myself to eat more veggies overall. So far, the data is limited and the jury is out. 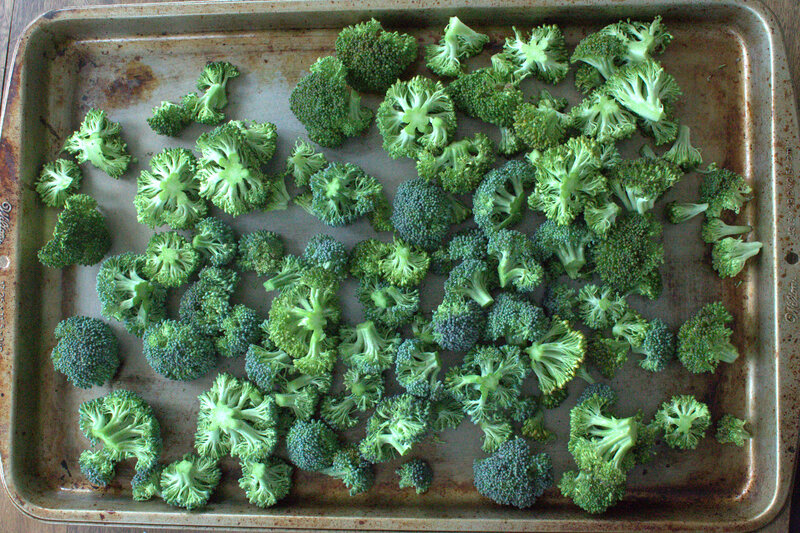 But I did eat a lot of broccoli tonight. 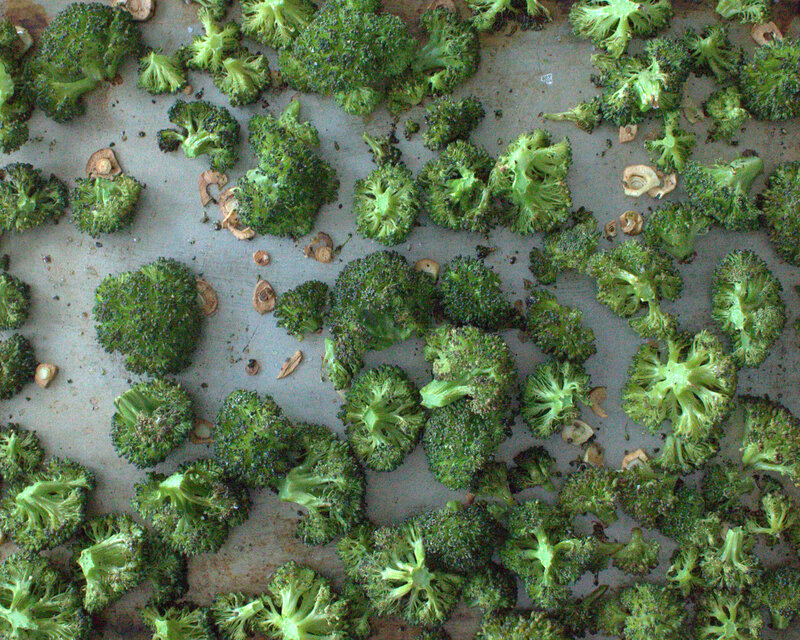 After chopping up all my broccoli and discarding all those yucky parts that no one wants, I spread the florets out on a baking sheet. Then I tossed the florets with some sliced garlic, olive oil, salt, and pepper. Roast those suckers at 425 for about 25 minutes. The little brown crispy edges are the best part. 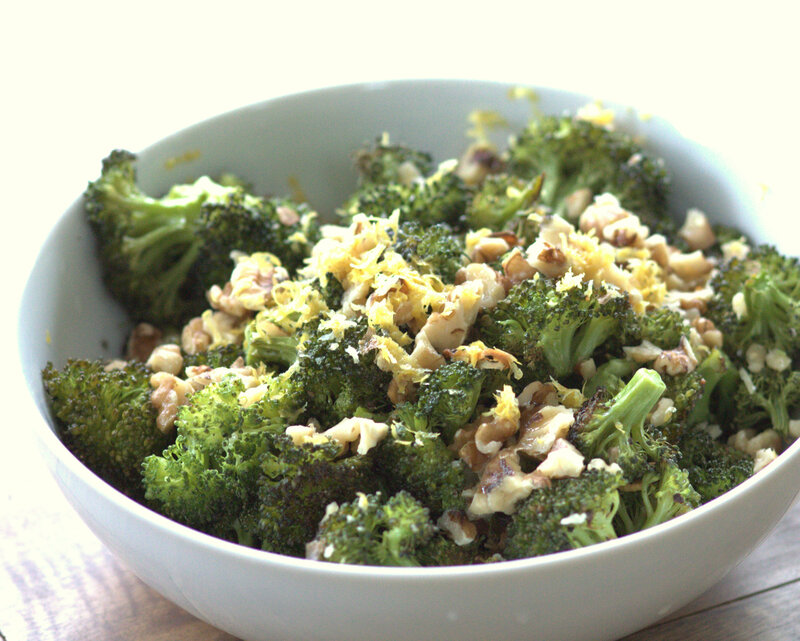 To finish it off, toss it with some chopped walnuts, lemon zest and lemon juice. And a side dish is born. Or, if you’re like us … an appetizer to eat before getting to the main course – a giant bowl of popcorn. 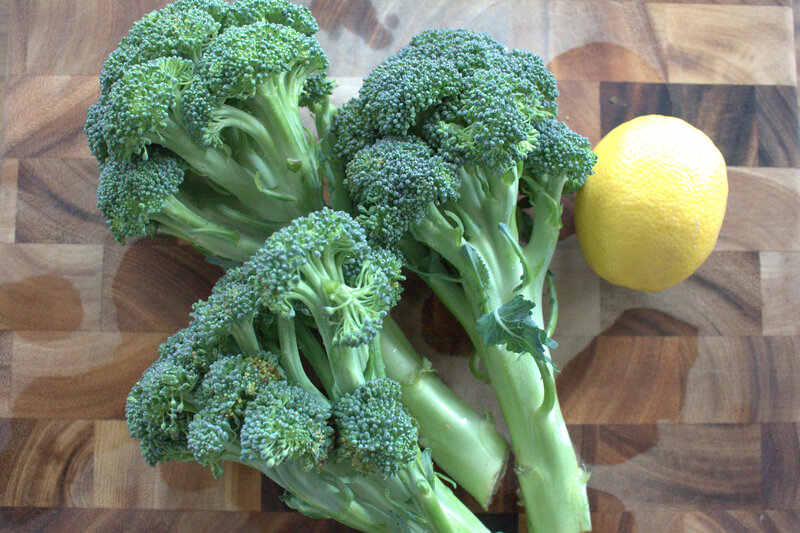 Cut the florets off the broccoli stems and discard the stems (unless you’re gross and you like those things). 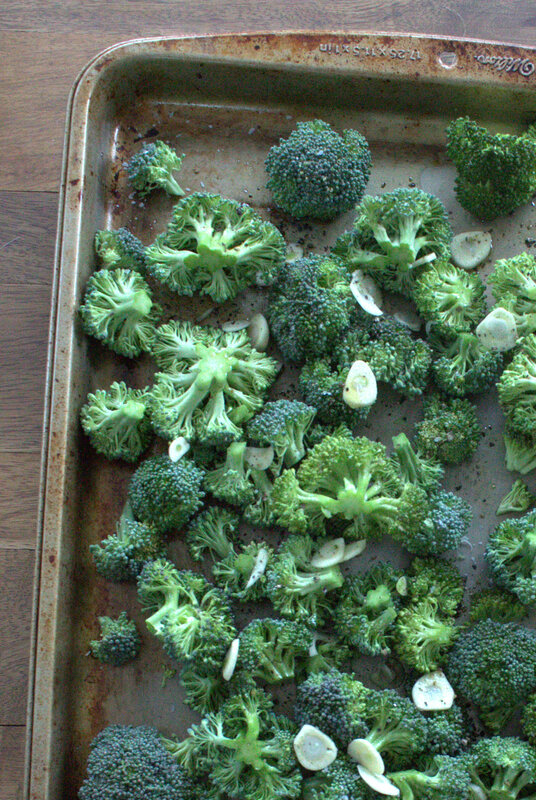 Spread the florets out on a baking sheet. 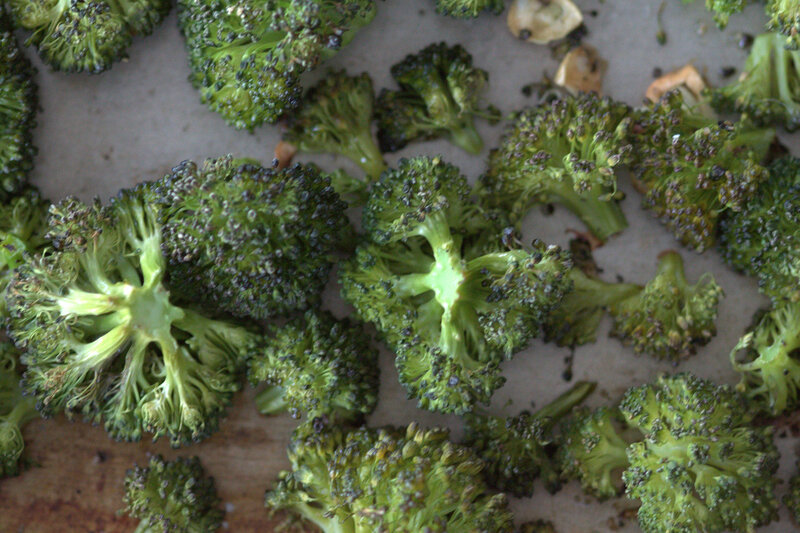 Toss with the sliced garlic, a drizzle of olive oil, and some salt and pepper. Roast for about 25 minutes. 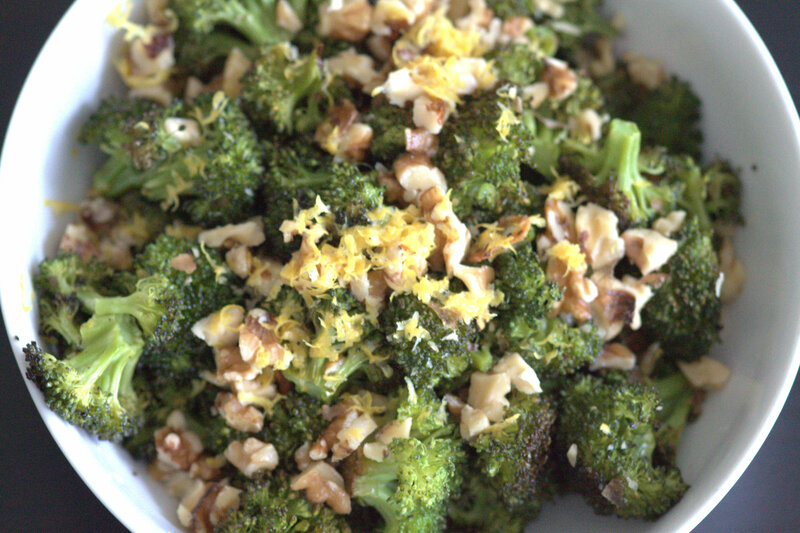 Remove from the oven and toss with the lemon zest, lemon juice, and chopped walnuts. Serves 4 people as a generous side dish (or 2 people as a prequel to a popcorn-based dinner). At least you ate your veggies before the popcorn 🙂 This recipe sounds like one to try for sure! Need to hear about this food delivery service. Haha, yeah, it wasn’t the worst case scenario for a dinner, right? I bet you could get it in your area too – it’s called Green Bean Delivery. Thank you so much! I’ve been working hard on getting better!